Sawmill Mini Golf has some big plans in the works for 2018. 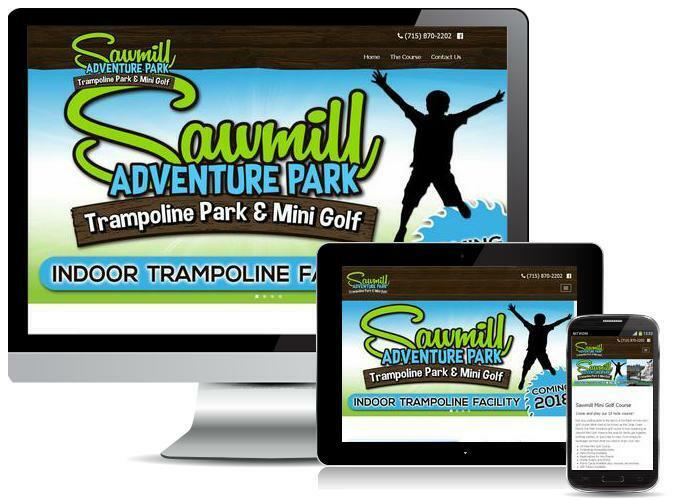 They are adding a trampoline park and becoming Sawmill Adventure Park. We rebranded their new site to reflect the name change and the news about the trampolin park that will be coming to the Wausau area. The new site responds to any size screen, from laptop to smart phone. Click here, to go check out the new site.